. And somehow, it fits perfectly! Happy Fashion Friday! 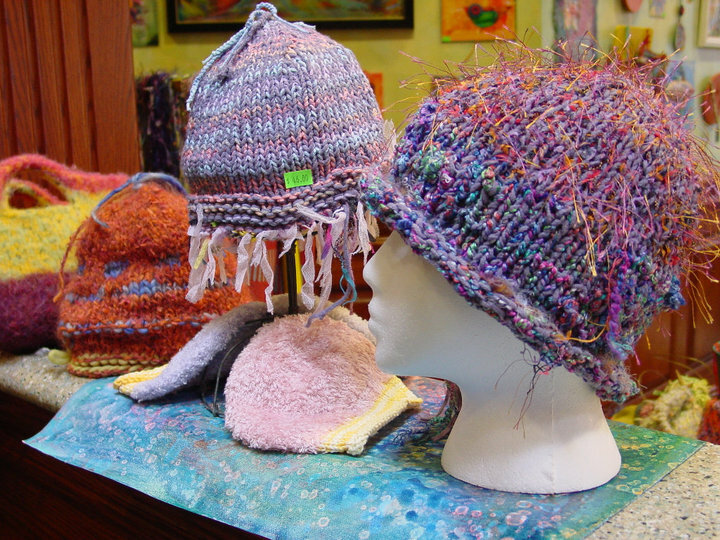 Olga, who is much like her creations, bright and striking yet understated and laid back, comes to us from the Ukraine and has been studying art since she was very young. 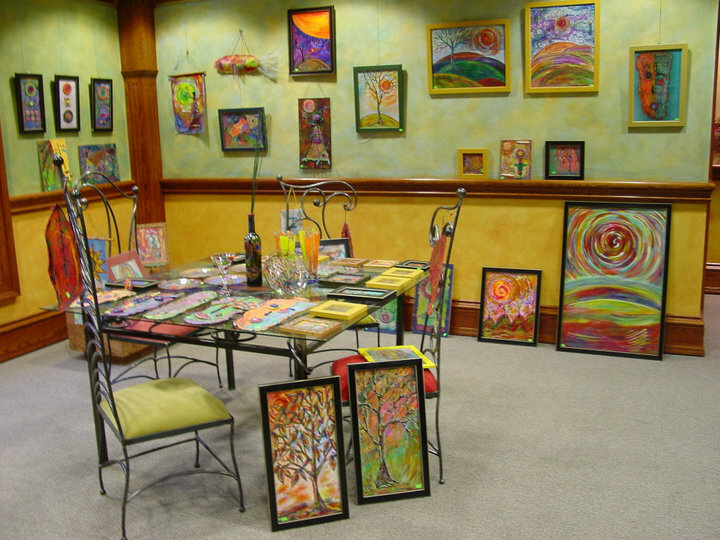 Upstairs in her gallery you can find stunning collages, beautiful paintings, breathtaking wall hangings, etc. 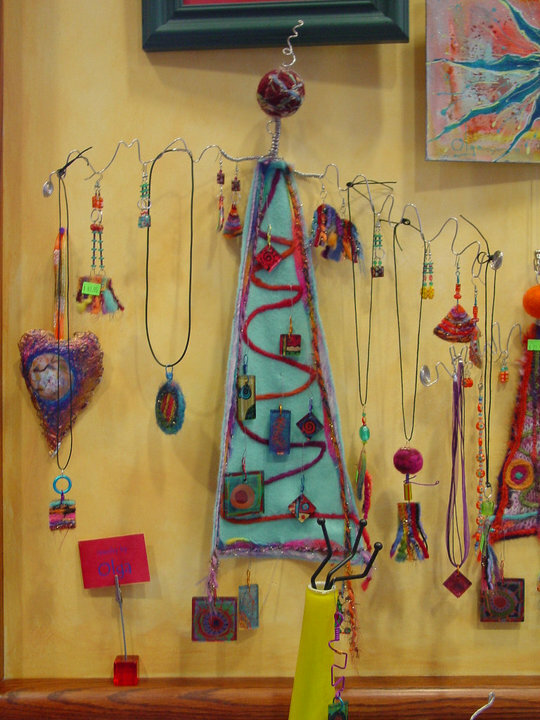 Downstairs you will find a wide variety of jewelry, scarves, hats, decorated stemware, hand made bags and all kinds of amazing trinkets and treasures. My mom bought me this gorgeous amber necklace on a leather cord from Olga’s for my last birthday. I wear it all the time and get compliments on it constantly. The cafe is in a category all it’s own. DELICIOUS! Phenomenal flavor, perfect portions and reasonably priced. 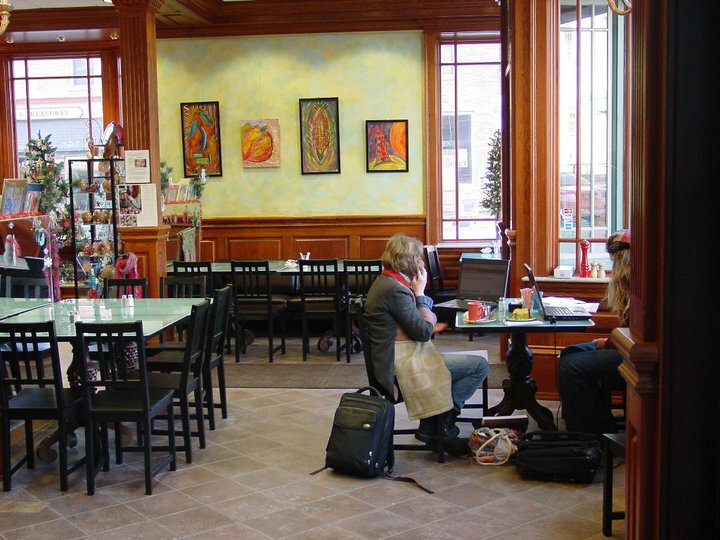 “Like” Olga Gallery, Cafe, & Bistro on Facebook and take a look at the menu in the photos section. Mouthwatering! There is live music performed there quite often, as well. I am sorry to get you all excited about this gem of a shop, if you don’t live anywhere near there and aren’t planning a visit in the near future. But, I will tell you this: Coudersport is an amazing place to visit. If you do find yourself someday in the surrounding area, stop by for some friendly faces, beautiful scenery and more fresh air than you can breathe. 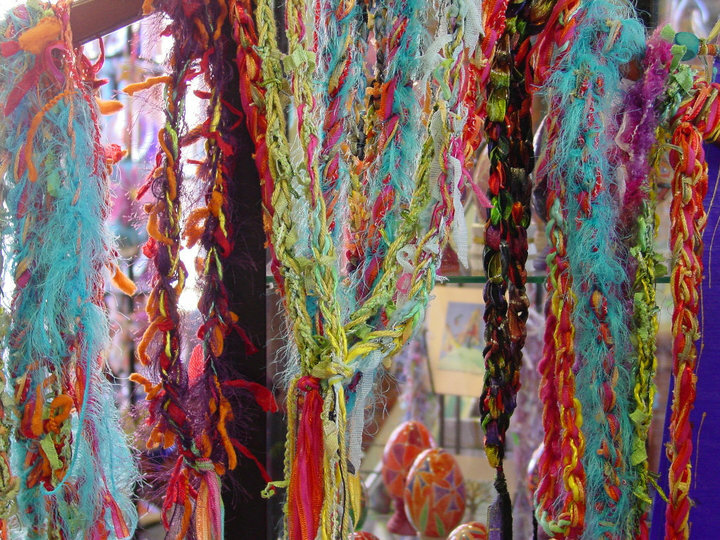 And while you’re there, be sure to set aside at least a few hours for Olga Gallery, Cafe, & Bistro for some hand made, one of a kind riches. A website is in progress where you will be able to purchase Olga’s work (I will keep you updated) but for now you can “like” Olga’s on Facebook to keep up with their happenings. OMG OBSESSED!